We all want a bathroom that delivers comfort, as well as aesthetic appeal at the same time. It’s also important that it has the right amenities and fixtures to provide function and value. Fortunately, careful planning and proper choice of design can deliver the best of both worlds. Here are some bathroom remodeling tips to turn your dream into reality. Before you start tearing up fixtures for a major remodel, make sure you have everything you’re going to need for the renovation. Some items may take up to several weeks to arrive so try to be patient. Waiting for parts can be frustrating but not as much as taking a hammer to your bathroom thus rendering it unusable until components arrive. Working with an architect or designer may seem like a costly move, especially if you’re on a tight budget, but it’s always worth the extra cost. Work out a plan with a professional to ensure you have a realistic budget, design and timeline. Hiring a designer who is experienced in bathroom remodels will save you tons of cash and prevent you from making expensive errors. If you are putting your home in the market in a few years, then you want to make sure the renovation increases the value of your property over time. Similarly, if you’re planning to live in your home for a considerable length of time, you want to ensure your new bathroom design is something that fits your style and preferences. Try to utilize as much space as you can. 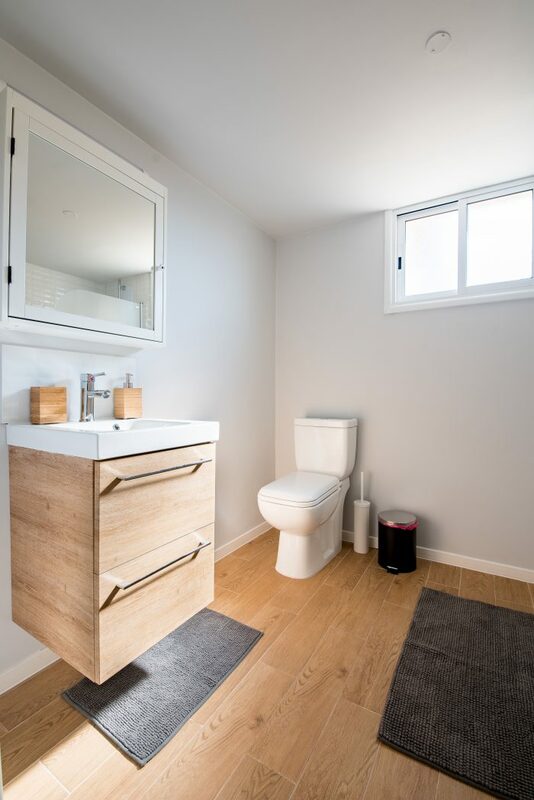 If you have a smaller bathroom, for example, you have to come up with creative ways to design the area and make it look bigger. Consider glass doors for your showers and tubs as they tend to open up the room. Pedestal sinks can also save you some real estate as they occupy less space than cabinets. Lighting is one of the most critical things people want to change when remodeling their bathrooms, and for good reason. Your bathroom fixtures will rarely hold much aesthetic appeal if the lighting is not right. Adding or upgrading the light in your bathroom, therefore, is one of the most valuable changes you can make to your home. Overhead lighting is important and as for ambient options, consider frosted glass fixtures, sunken track lighting, or rice paper. You can never underestimate the impact a pop of colorful paint can have in transforming your bathroom. Coordinate the colors with detail such as the tilework, and you’ll be surprised at the result. Bathrooms take the top spot for rooms homeowners love to renovate, even more than kitchens. With these bathroom remodeling tips, you should have an easy time turning your old bathroom into a new and better-looking space. It’s important to renovate a bathroom correctly the first time, so you don’t encounter problems that are avoidable with proper installation.